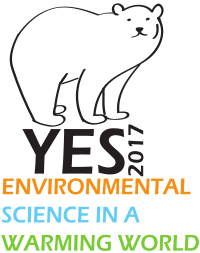 In collaboration with the student association of the Society of Environmental Toxicology and Chemistry (SETAC) we are happy to announce that ACES will be hosting the 6th edition of the Young Environmental Scientists meeting (YES) taking place from the 16th to the 20th of February. This will be the first time that the meeting is held in Scandinavia and roughly 100 students are expected to participate. The YES conferences are organized by students and for students, and aim to provide a non-intimidating and relaxed atmosphere for students. Following the concepts of the previous 2 meetings in Serbia and the US, the conference offers a range of activities covering standard scientific sessions, a workshop, career talks as well as professional laboratory and soft-skills training. Students at all levels in environmental chemistry and toxicology (including recent graduates) are now invited to send in their abstracts. No conference fees are charged and students are welcome to apply for travel grants if needed, to support their trip to Stockholm. More information is available here and you can follow the student organization of SETAC on Twitter and Facebook to stay informed on any news regarding the conference!